The FDA approval of EPIDIOLEX will soon bring to market the first plant based drug derived from the cannabis plant in the U.S. Studies in the U.S. of Epidiolex (a plant based cannabidiol or “CBD” formulation) have been ongoing for a number of years. Data from these studies has helped to provide evidence that led to the FDA approval of this product on June 25, 2018. Within months Epidiolex will be available in pharmacies as the first plant based cannabis treatment approved by FDA. A historic moment in the treatment of epilepsy and historic for medical use of cannabis. Epidiolex is a purified (> 98% oil-based) CBD extract from the cannabis plant. It is produced by Greenwich Biosciences which is a US based company of GW Pharmaceuticals. 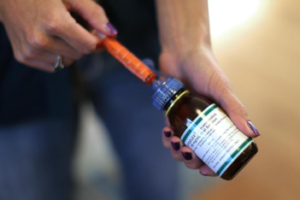 Researchers studied this medicine in controlled clinical trials of people with very difficult to control seizures. Many people in the study had 100 or more seizures per month. These studies used a control group with some people taking a placebo while others were given CBD at different doses. The two epilepsy syndromes studied were Lennox-Gastaut Syndrome (LGS) and Dravet Syndrome. Both severe, usually lifelong epilepsy syndromes that do not have highly effective treatments available. The most common side effects in people taking cannabidiol were sleepiness, decreased appetite, and diarrhea. These happened more often in people taking the higher dose of CBD. Only 6 patients in the 20-mg CBD group and 1 patient in the 10-mg CBD group stopped the study because of side effects. Fourteen patients who received CBD had an abnormalities in a test of liver function. Many of these people were on valproic acid. The frequency of total seizures of all types was significantly reduced with CBD, but there was no significant reduction in non-convulsive seizures. The percentage of patients who became seizure-free was 5% with CBD and 0% with placebo. Side effects that occurred more frequently in the CBD group than in the placebo group included diarrhea, vomiting, fatigue, fever, somnolence, and abnormal results on liver-function tests. There were more withdrawals from the trial in the cannabidiol group. A number of clinical trials are active and recruiting patients, including studies using Epidiolex in people with Tuberous Sclerosis Complex and Sturge-Weber. It is important to know that even though marijuana is a plant, it is broken down in a person’s liver like many medicines. People mistakenly believe that marijuana is completely safe because it is a plant or oil from a plant. However, medication interactions can occur. There are some drug-to-drug interactions that have been revealed during the studies of CBD in epilepsy syndromes. More research continues to be done examining these interactions. We know from studies that have been done. People who had increases in their liver enzymes to a level three times or more than normal were mostly on valproic acid (VPA). The levels of VPA were not increased when taken with CBD. It is thought that a part or byproduct of VPA may interact with CBD when it is broken down. This may put some people at increased risk for liver issues. As clobazam (Onfi) is broken down, a major component of the drug appears to interact with CBD in some people. This may be the cause of tiredness that is seen in some people who are on both CBD and clobazam. It is important that you discuss Epidiolex or other CBD products with your medical provider to fully understand the differences of these compounds and also if Epidiolex is a potentially safe and effective option for you. Not everyone will do well with this medication. However, it is a better product that what is available in dispensaries, internet, or non-pharmacy stores. Devinsky O, Patel AD, Cross JH, et al. Effect of Cannabidiol on Drop Seizures in the Lennox-Gastaut Syndrome. N Engl J Med 2018;378:1888-97. Devinsky O, Cross JH, Wright S. Trial of Cannabidiol for Drug-Resistant Seizures in the Dravet Syndrome. N Engl J Med 2017;377:699-700. 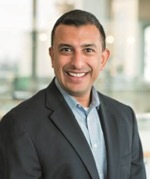 Anup Patel, M.D. is board certified in neurology with special qualifications in child neurology. In addition, he is board certified in epilepsy and clinical neurophysiology. He is the section chief of neurology at Nationwide Children’s Hospital and is the director of the complex epilepsy clinic. 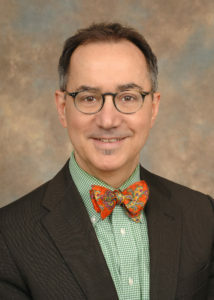 He is an associate professor for neurology and pediatrics at Nationwide Children’s Hospital and The Ohio State University Medical Center in Columbus, Ohio. He has journal publications and clinical research interests in the field of pediatric epilepsy, health care utilization, learning healthcare systems, and quality improvement. Dr. Michael Privitera is Professor of Neurology and Director of the Epilepsy Center at the University of Cincinnati Gardner Neuroscience Institute. He established the Epilepsy Center in Cincinnati in 1987. Dr. Privitera is an expert on advanced treatments for epilepsy, with a research focus on new antiepileptic drugs, generic equivalence of AEDs, stress as a seizure precipitant, and seizure prediction. He has over 150 scientific publications. He has mentored dozens of residents, fellows, graduate students and post-docs. He has served as a reviewer for NIH and FDA, earned many honors and awards, and served in many leadership positions at the University of Cincinnati and at the American Epilepsy Society. He was President of the American Epilepsy Society in 2016. He was a board member of EF Greater Cincinnati and Columbus for 20 years. This entry was posted in From The Experts, Health & Wellness, Helpful Epilepsy Information, News and tagged American Epilepsy Society, cannabidiol, cannabis, CBD, college and epilepsy, Dravet Syndrome, Epidiolex, Epilepsy, FDA, seizure, seizure medication, Tuberous Sclerosis, Women's Health.